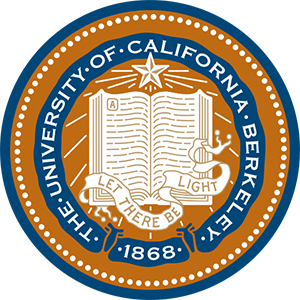 In 2017-18, faculty affiliated with the DE are Robert Alter, (Emeritus) Comparative Literature and Near Eastern Studies; Kenneth Bamberger, Boalt School of Law; Joan Bieder, School of Journalism; Benjamin Brinner, Music; John Efron, History; Claude Fischer, Sociology; Ronald Hendel, Near Eastern Studies; Chana Kronfeld, Comparative Literature and Near Eastern Studies; Ann Swidler, Sociology. The undergraduate minor program in Jewish Studies involves faculty from a large number of disciplines including Arts and Humanities, Social Sciences, and Law, and students may choose from a range of exciting offerings from across the breadth of Jewish Studies inquiry. After completing an introductory survey course, students in the minor may take classes and seminars offered within the Jewish Studies program itself, language courses in the Near Eastern Studies (Hebrew) and German (Yiddish) Departments, hands on experiential learning through the Magnes Collection for Jewish Art and Life, and relevant courses offered in departments including History, Comparative Literature, Near Eastern Studies, Music, Sociology, and Political Science. The program allows students to work closely with members of the faculty, to be mentored by graduate students, and to participate in the intellectual life of the broader Jewish Studies community on campus. Application instructions for the minor (included at the end of the document is a list of campus courses that satisfy the minor in Jewish Studies). Complete the preliminary course: The Cultural Legacies of the Jews (JS 100).